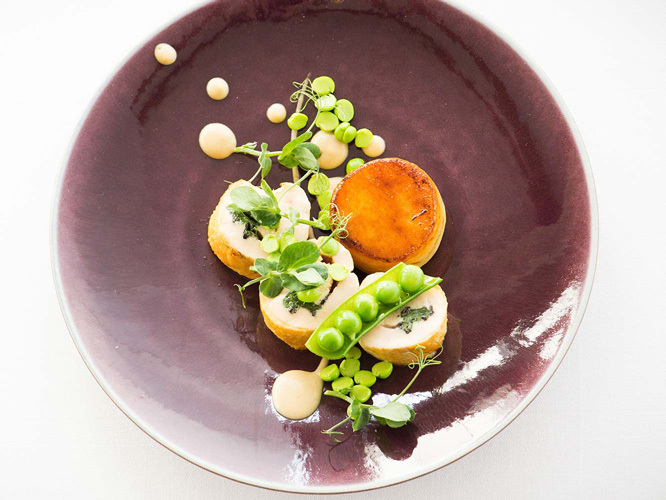 A visit to Douneside House means that you will be able to indulge in a truly memorable culinary experience, courtesy of our passionate Head Chef, David Butters and his award winning team. 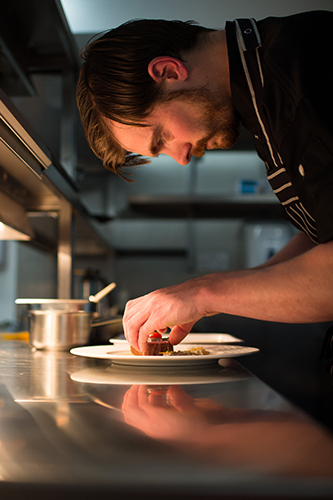 Chef Butters has created a range of innovative menus to suit all occasions and preferences, from a highly sophisticated 6 course tasting menu (available Thursday-Saturday evenings), to a table d'hôte set menu with three options each evening. Both can be enjoyed in our elegant restaurant, which showcases antique furnishings within a contemporary setting. Lunch or afternoon teas can be served in the restaurant, library or conservatory with its beautiful views of the terrace garden. Younger guests have the option of dining together in the early evening over High Tea. Join us on a Sunday for a traditional Sunday Roast, served between 1200-1400. All menus focus on featuring the freshest local produce, with fruit and vegetables picked daily from the Douneside Garden. This year, the Douneside garden will grow over 80 different varieties of fruit and vegetables for our kitchen team. Meat is purchased from prestigious Aberdeenshire based, Royal Warrant butcher HM Sheridan, while blue flag fish comes fresh from the neighbouring fishing town of Peterhead every morning. Please note that Douneside House’s restaurants are by reservation only.